To round off the week in the same way we began, here is a resource which I like very much. 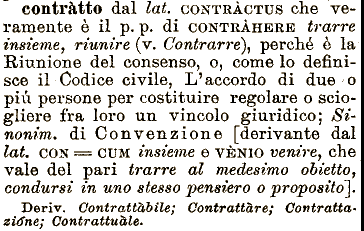 According to the introduction by the webmaster, “Il Vocabolario Etimologico della Lingua Italiana di Ottorino Pianigiani” was first published in 1907 in two volumes by Albrighi & Segati, and followed in 1926 by a volume of Aggiunte, corrections and variations (Ariani, Florence). It was then republished on several occasions by different publishers.